The Boston Red Sox went to Pawtucket for their annual game with the top farm club in April 1990, The Patriot Ledger News Service wrote. But not every Boston player was playing in the exhibition. To fill out the roster, the Red Sox added a couple players from AAA, one of them being Angel Gonzalez. While he was with Boston for that one game, and played with them in multiple spring trainings, Gonzalez would never play in Boston, or with any other major league club, during the regular season. 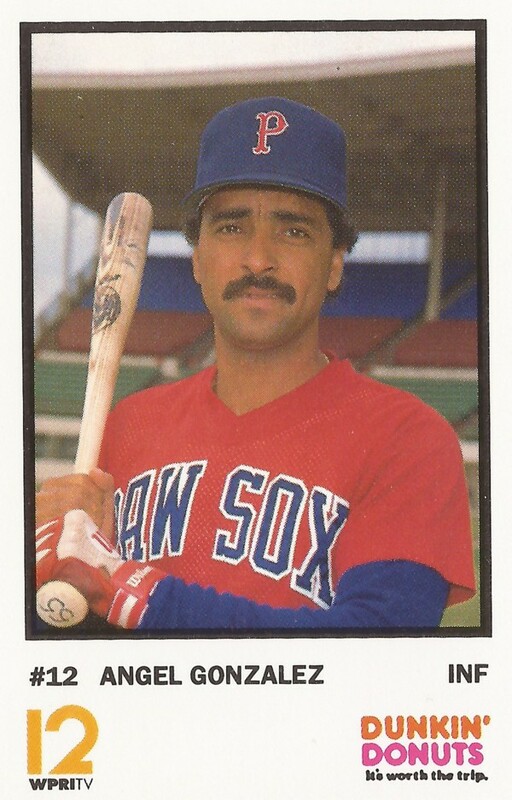 Gonzalez' professional career began in 1984, signed by the Red Sox as an undrafted free agent out of his native Dominican Republic. Gonzalez started that year at short-season Elmira, hitting .287 in 63 games. He moved to single-A Winter Haven in 1985, hitting .252. His average hit .323 in 1986, a second year at Winter Haven. In 1987, Gonzalez made AA New Britain, getting into 113 games and hitting .300. He opened the season with a two-hit performance in a New Britain win. Later in the year, Gonzalez got a 10-game look at Pawtucket, going 14 for 35. The next spring, Gonzalez got time with the Red Sox in spring training, tying a mid-March game with a single. He then split the season between New Britain and Pawtucket, his average dropping to just .202. 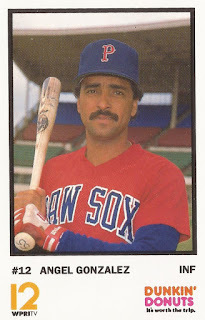 Gonzalez returned to Pawtucket in 1989 and 1990. His playing time, though, was limited, with 73 games in 1989 and 66 in 1990. He had two hits in a spring 1990 game, but didn't make it to Boston. Gonzalez moved to the Reds in 1991, getting three hits in his first spring appearance. But it was also Gonzalez' last season. He played out the year at AAA Nashville, hitting .243 and not making Cincinnati.